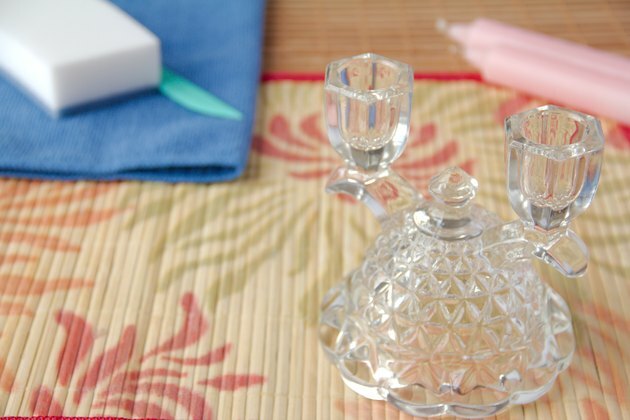 Crystal candleholders add an elegant look to a tabletop candle display, but once the candles have been lit and the wax melts, you may be left with a wax-ridden mess that mars that once-beautiful crystal. 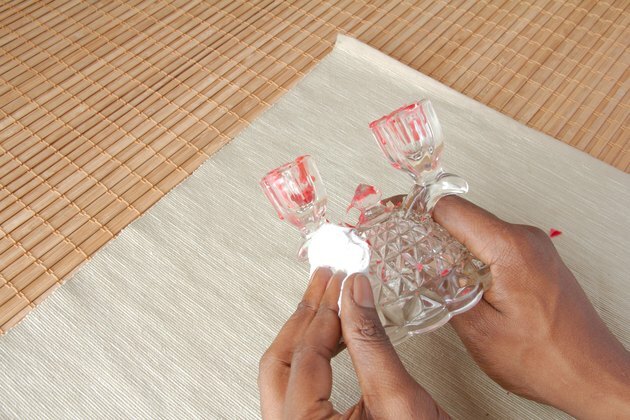 Remove the wax using gentle, temperature-altering techniques to get rid of the wax without harming the candleholders. When the wax is cool, pick at thick areas of the wax using your fingernails or a plastic knife. Scraping with plastic pries some wax free without scratching or otherwise harming the crystal. If the wax is still warm and pliable, blot and wipe some of it out with a paper towel. Wipe from the edges of the wax toward the middle of the waxy areas to avoid spreading soft wax over a larger area. Remove stubborn candle wax by placing the candleholder in the freezer for an hour. As the wax chills, it becomes brittle enough that you may be able to pop an entire chunk of it out. Pry it out with your fingernails or the edge of a plastic spoon or knife. Do not use metal implements, which may scratch the crystal, no matter how tempting. 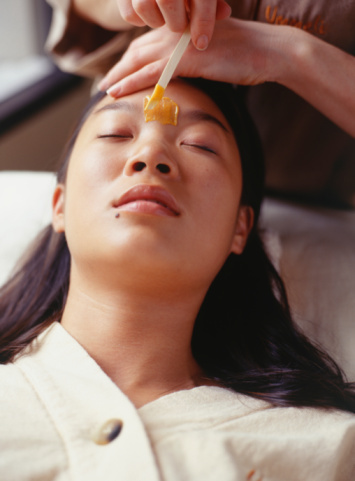 Sometimes, a thin waxy coating is more difficult to remove than a thick chunk of wax. 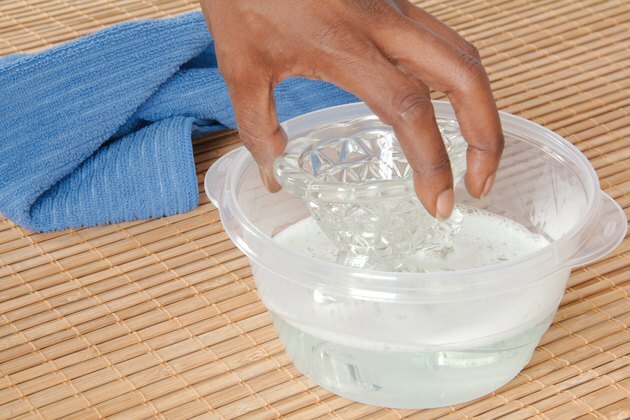 Fill a bowl with hot tap water; then submerge the waxy portion of the candleholder in the water. Use a bowl or pan that will not tip under the weight of the candleholder, even if part of the holder sticks out over its edge. After 10 minutes or so, wipe out the wax with a soft rag or paper towels. Alternatively, pour hot water into the candle chamber to soften the wax. Pour out the hot waxy water over a stack of paper towels in the sink to prevent wax from entering the drain. Wipe the remaining wax out with a paper towel. Once you've removed all the wax, parts of the crystal may appear a bit cloudy or dirty. 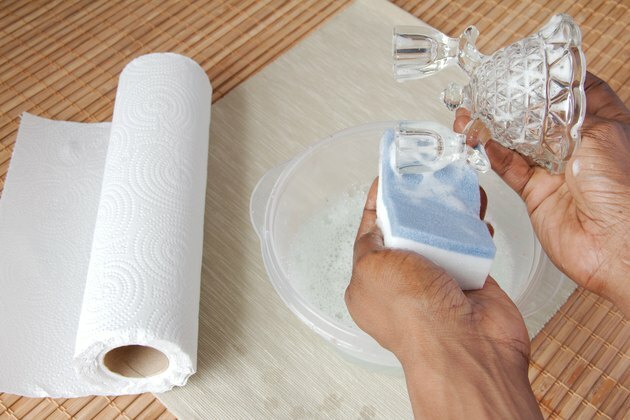 Wash the candleholder in warm, soapy water using a soft sponge or dishcloth. Rinse; then dry with a soft, absorbent dish towel.